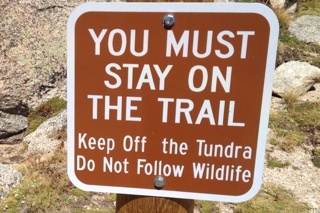 I saw this sign on the side of the trail to Summit Lake on Mt. Evans in Colorado this weekend. There is profound meaning here in life and business. Think about it and see what it means to you.